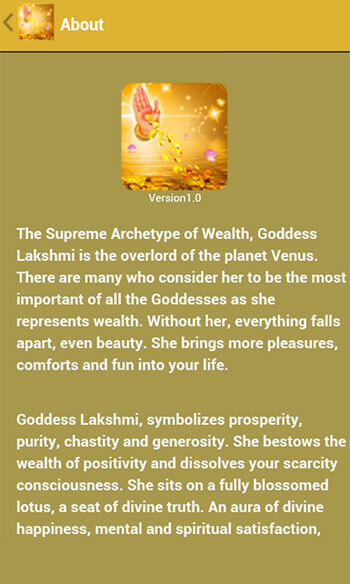 Goddess Lakshmi is the Goddess of Wealth. 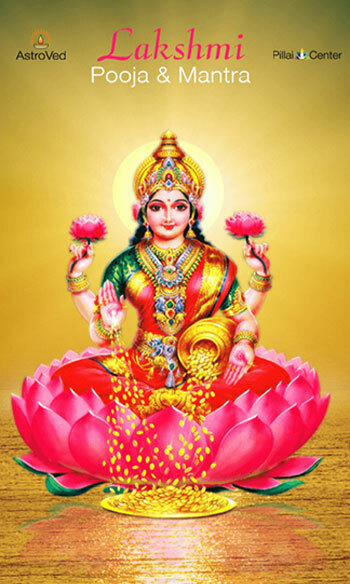 Worshiping Goddess Lakshmi will bless you with good fortune and riches. 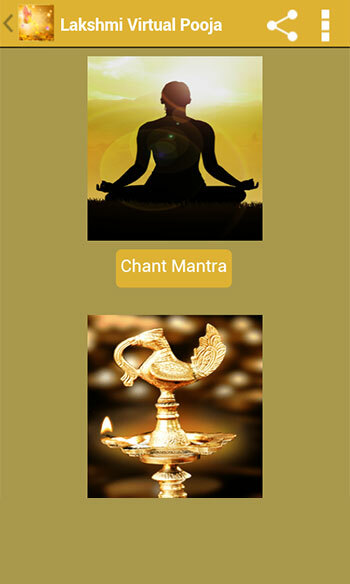 Poojas and Archanas to Goddess Lakshmi bring in the element of luck for you and your family. 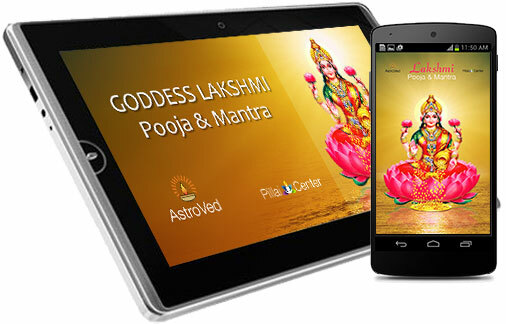 Goddess Lakshmi removes sorrows and gives intelligence, freedom and success. 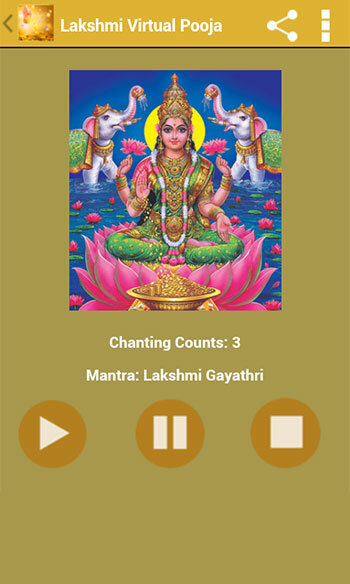 And also she removes all negative vibrations in your Life. 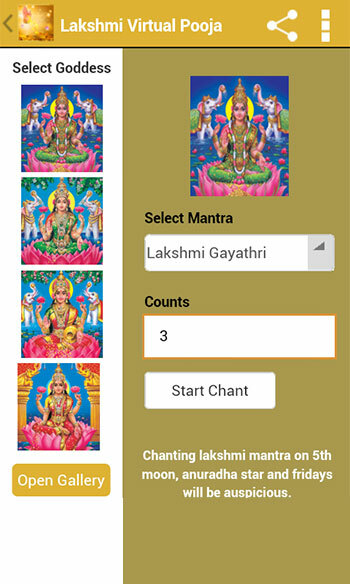 You can offer prayers to Goddess Lakshmi through Lakshmi Pooja & Mantra application; this paves the way for success in your life and bring in the element of luck for you and your family.